The holy month of Ramzan or Ramadan has started and I wish all my readers a pious Ramazan. On this auspicious occasion I am listing various Apps for Android, iOS and other phones. Click on the App name to download. Salatuk : Salatuk app indicates you the Prayer timing, the Mosques near you and the Qibla (Qaaba) direction wherever you are . The Salatuk algorithm supports a large Prayer calculation methods adopted by many Muslim countries. Depending on your location, the application choose the appropriate calculation method, Fiqhi school and Adhan. However, if you want, you can also change the prayer method manually in the "Settings" tab. For an accurate localization, you must ensure that your location settings and your Internet connection or your GPS are enabled. Bangladesh Prayer Time : Islamic Prayer (namaz / salat) times and Qiblah direction finder for Bangladesh cities. This app provides prayer times and find the direction to the Qiblah wherever you are in Bangladesh. You will be able to get prayer times at your location by using your phone's geoloaction feature. Alternatively, you will be able to search by a place name. Sehri and Iftar times are also shown during Holy Ramadan. Malaysia Prayer Time : Malaysia Prayer Times reminds you when the next prayer is due, allows you the search nearby mosques, and determine the qibla from your phone. Prayer Times : Same features as the Android App. and there are no restrictions to a list of cities. for all future prayer times using iOS 4 local notifications. (standard alarm length is limited to 30 seconds, get full adhan by one click!). time zone and date language detection. for all future prayer times to plan weeks in front. prayer times interface. Slide the prayer times screen to browse through unlimited dates. 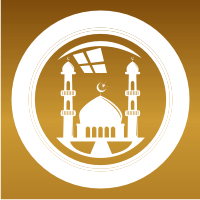 SalahForFalah : SalahForFalah is a simple and convenient tool for Muslims to determine prayer timings and Qiblah direction* from their current location. The user-interface is designed to be unobtrusive and without distractions, so the focus remains on prayer timing and direction. Wherever** they are, SalahForFalah automatically determines the location of users and calculates the prayer timings, based on the preferences set. It then guides the users to rotate the mobile device until it aligns itself with the direction of the Qiblah at their location. A user-friendly color-coded compass ring indicates how far away is the device from the direction of the Qiblah. Further away is indicated by dark grey, while the color fades into shades of Green as the device is rotated to point to the Qiblah. The color-coded ring then becomes bright Green to indicate a lock-on with the Qiblah direction. My Pray Pal : his application calculates muslim prayer times and provides accurate qibla direction for prayers. It also alerts the user when salat timings are near. The new Live tile feature allows user to see the current days praying times on home screen without having to open the application. we.Muslim : Worldwide Prayer Times & Qibla Direction Finder. - Preloaded with 143 cities from many timezones (use if you don't have GPS coverage). - Support Daylight Saving Time for US, Canada, Australia, and other countries (eg. it knows that US & Canada DST starts March 11 and ends November 4 and adjusts prayer times accordingly). - Calculate Prayer Times from Latitude & Longitude (if your city is not listed in one of the 143 default cities). - Automatic detection of Calculation Method (eg. if you're in USA, ISNA method will be used, if you're in Arabian Peninsula, Makkah method will be used). - Supports 7 calculation methods: MWL, ISNA, Egypt, Makkah, Karachi, Tehran, Jafari (change method if suitable). - Calculate prayer time for any day of the year (default: today, but you can check next week's prayer time too). - Show Prayer Direction from True North, calculated from Latitude & Longitude of current location. - Rotation of beautfiul background images on app startup (future version will allow these images to be saved as wallpaper). Pray Time : This app calculates Muslims prayer times using the phone's location (latitude and longitude) and a Compass to show the Qibla direction. Call to Pray : Start using the Call to pray super application, which is full of smart features required for all Muslims in daily life. Application comes with a very beautiful Islamic look and feel through two amazing themes; you can choose which one matches your own style. Call to pray is actually a four applications inside one application: 1. Prayer times 2. Qibla direction 3. Azakr 4. Hijri calendar Call to pray features: . Gives you all prayer times based on your selected country and city or based on your current location using GPS . Reminds you with all prayer times .You have the availability to select the Adhans sound, you like. Also you can download extra Adhans sound . You can set the Iqama time and set Hadith and Duaa after each prayer .Shows you the Qibla direction for your selected country and city or for your current location using GPS . Automatically updates your prayer times and Qibla directions using GPS . Provides you with morning and evening azkar with the ability to listen to the audio of any Zekr. . You can set any Zekr to remind you for prayer or for any alarm. . Provides you with two calendars Hijri and Gregorian with the ability to switch between them. . You can add reminder, appointment….etc to the calendar . Share prayer times over BBM, SMS, email or via face book. I have also this application into my mobile and i want to share with you i hope you will also like it.